Stuart Manley, who is currently 4th on the PGA Challenge Tour rankings, and has already secured his 2019 full status on the European Tour is to represent Wales along side Bradley Dredge at the 59th staging of the World Cup Of Golf in Melbourne from November 21st- 25th 2018. This will be Stuart's third appearance in the event having played in 2013 and 2016. Stuart said " I am absolutely delighted to be again representing Wales at the World Cup in November, the two previious times I have played have both been memorable experiences, I am really looking forward to getting to Melbourne in November with Bradley to compete again in the World Cup "
Wales have won the World Cup twice before, in 2005 and in 1987 when Ian Woosnam partnered David Llewellyn to win the event in Hawaii. This week is the final on the event on the Euroepan Tour although it is the fourth official event of the 2018 season. Oliver Farr and Stuart Manley, who both played in the Australian PGA last week are joined by South African Martin Rohwer, who makes his debut on the European Tour. Stuart manley is hoping to go one better in this Joburg Open, last years event Stuart finished runner up and qualified for the 2017 Open Championship. 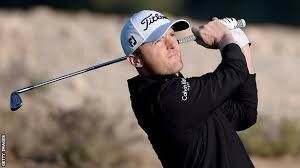 Michael Hoey and Stuart Manley both finished on 8 under par at the Rocco Forte Open in Sicily. Hoey opened with a round of 61, and followed this with 68, 75 and a final round of 72. Manley shout 68,66,73 and 69. Ollie Farr from Burghill Valley GC, finished off 2016 by finishing tied 21st at the Australian PGA at the RACV Royal Pines Resort in Queensland, this event was the first event on the 2017 Race To Dubai. Rounds of 69,73,70 and 72 saw him finish on 4 under par. 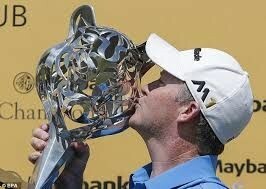 Stuart Manley also made the cut in the event, finishing on 1 over par after rounds of 74,71,75 and 69. 2017 Race to Dubai starts this week in Australia and South Africa. The 2017 Race To Dubai gets underway this week after only a 2 week break since the DP World Championship in Dubai closed the out the 2016 season. Michael Hoey plays in the Alfred Dunhill Championship at the picturesque Leopard Creek GC in South Africa, the event is co-sanctioned with the Sunshine Tour. Stuart Manley and Oliver Farr are both playing in the Australian PGA Championship at RACV Royal Pines Resort in Queensland. This event is also a co-sanctioned event with the Australasian PGA Tour. Stuart Manley, fresh from regaining his full status for the 2017 European Tour at last weeks Q School, teams up with Bradley Dredge to represent Wales at the World Cup Of Golf at Kingston Heath Golf Club in Melbourne, starting on Thursday. The format for the event includes 2 rounds of foursomes and 2 rounds of 4 ball better ball. Manley is making his second appeareance in World Cup, having finished 8th as an individual in 2013, which was the last time the World Cup was staged. Holland and Ireland are this weeks stops on the European and European Challenge Tours. Exciting times this week for The Dutch, as it hosts its first European Tour event having only opened its doors in 2011. A member of the prestigious network of European Tour Destinations, The Dutch’s signature Championship course was designed by Europe’s 2010 Ryder Cup-winning Captain Colin Montgomerie, in conjunction with European Golf Design. The Challenge Tour returns to Mount Wolseley for the second year for the Volopa Irish Challeneg, where Chris Selfridge, Brian Casey, Rhys Enoch and Jimmy Mullen are all competing. 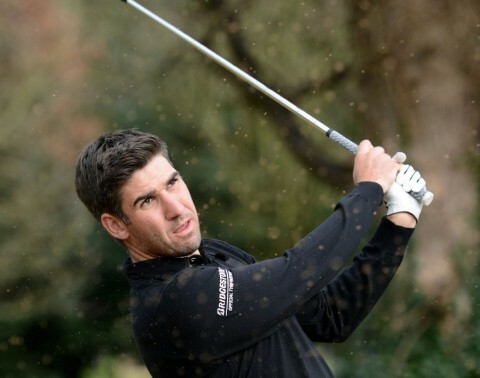 Marcus Faser, Michael Hoey and Stuart Manley are all in action at the BMW International Open. Marcus Fraser returns to action in Cologne after a 3 week break, then heads to the US for the Bridgestone Invitational the following week. The Challenge Tour comes to Britain for the first time this year for the SSE Scottish Hydro Challenge, where Ollie Farr, Chris Selfridge, Jimmy Mullen and Brian Casey are all in the field. Austria and Belgium for BlackStar golfers. The golf season is really now well and truly under way, this week 8 out 10 BlackStar golfers are playing. Stuart Manley and Micheal Hoey are again playing on the main tour, this week it is the Lyoness Open in Austria, where Chris Wood who recently won the BMW PGA Championship returns to defend his title, that he won last year in such dramatic fashion. BlackStar are represented on the Challenge Tour by 6 players, Chris Selfridge, Ollie Farr, Brian Casey, Rhys Enoch, Ben Robinson and Devon's Jimmy Mullen. Michael Hoey and Stuart Manley both are playing in the Trophee Hassan 11 in Rabat, Morocco this week at the stunning Royal Golf Dar Es Salam. 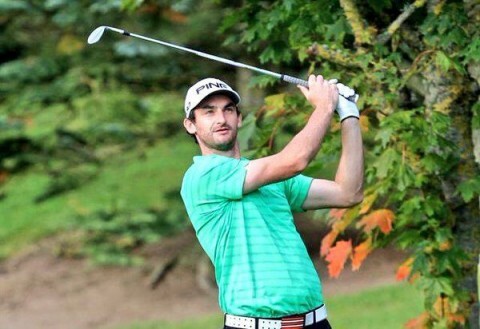 Michael Hoey, who represents Galgorm Golf Club won the event in 2012, posting a brilliant 19 under par in the last 3 rounds after an opening round of 74. Fresh from his stunning victory at the Maybank Championship Marcus Fraser plays in the ISPS Handa Perth International, also playing are fellow BlackStar golfers Stuart Manley and Michael Hoey. The event is played at the Lake Karrinyup Country Club in Perth, Western Australia from February 25th- 28th. Queensland bound for Fraser and Manley. 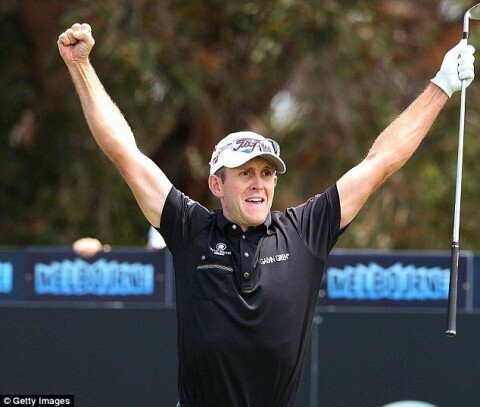 Blackstar Golfers Marcus Fraser and Stuart Manley both play in the Australian PGA Championship at the RACV Royal Pines in Queensland this week. The tournament is the second event on the 2016 Race To Dubai following on from last weeks Alfred Dunhill Championship in South Africa. Manley, who is sponsored by Bank Frick, will end his 2015 season in Queensland, before heading home for a Christmas break, but then returns to action at the South African Open in early January. 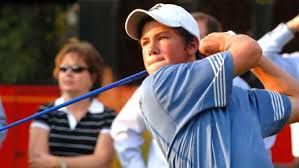 Following the Australian PGA Fraser plans on playing in the Thailand Championship on the Asian Tour at Amata Spring, where last year he finished tied 2nd with Martin kaymer, 1 shot behind the eventual winner Lee Westwood. 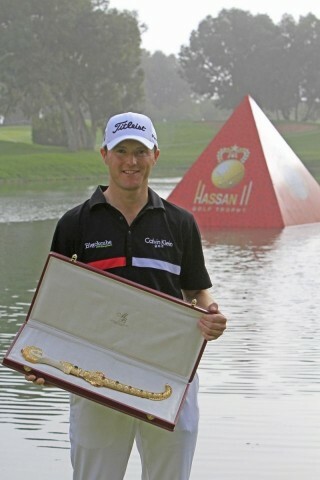 That will draw to an end a very successful 2015 for Fraser, he will return to tournament golf at the 2016 Abu Dhabi HSBC Golf Championship in mid January. Stuart Manley, who last week was shooting a final round 66 to win his tour card back in Spain, plays his first event on the 2016 Race To Dubai at the Alfred Dunhill Championship at Leopard Creek GC in South Aftrica on Thursday, teeing off at 8.10am in round 1. Having finished the Q School last Thursday Manly has been back home to Wales for 2 days, before he flew out to South Africa on Sunday, " Obviously my game is feeling pretty good after last week, I am really looking forward to the next two weeks and hopefully can get off to a good start on the new rankings in the first 2 events "
Marcus Fraser is also playing this week, at the Emirates Australian Open in Sydney, where world number 1 Jordan Spieth is defending his title after winning the event last year by 6 shots. Stuart Manley produced a brilliant round of 66 in the sixth and final round to secure 13th card at the European Qualifying School. Manley, who is sponsored by Bank Frick started the final day in 42nd place on four under par, but an eagle and six birdies saw him card the lowest round of the day. Stuart now returns to the European Tour after losing his card in 2014. The 2016 Race To Dubai schedule actually starts next week at the Dunhill Championships in South Africa, then Stuart will go to to Australia to join Marcus Fraser in the field for the Australian PGA Championships. Marcus Fraser returns to Hong Kong this week a year after making an impressive return to action, Fraser returned to competative action after 12 months out with a wrist injury at the 2014 Hong Kong Open and finished T5th. Ollie Farr joins Fraser in the field making his first visit to Hong Kong. Stuart Manley and Chris Selfridge play at the Foshan Open in China on the Challenge Tour, with both players trying to get in to the Top 45 of the rankings, in order to qualify for the season ending Road To Oman in 2 weeks time. 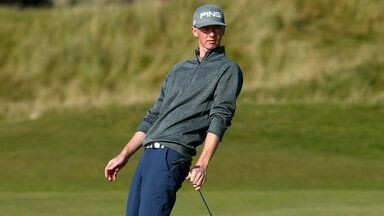 Jimmy Mullen, who last week signed with BlackStar Golf and finished T30 in the Alfred Dunhill Links makes his debut on the Challenge Tour this week in the Irish Challenge, where he is joined by Northern Ireland's Chris Selfridge who has made all ten cuts this year on the Challenge Tour, having turned Professional in May. Chris currently lies 57th on the ranking list and has 2 more events left to try and qualify for the Race To Oman, which is the Challenge Tour's final event where the top 15 players get their cards for 2016. Stuart Manley who is 52 in the Challenge Tour rankings also plays in Ireland, and again is trying to go up the rankings to be eligible for the season ending event in Oman. Marcus Fraser, Michael Hoey, Oliver Farr and Stuart Manley are all playing this week in the re-launched European Open sponsored by Porsche on the European Tour. Marcus Fraser returns to action in the Italian Open, having had mid-season break back home in Melbourne, he tees up at the Italian Open on Thursday along with fellow BlackStar players Ollie Farr and Stuart Manley. Oliver Farr plays in the KLM Dutch Open this week, while Stuart Manley and Chris Selfridge travel to Kazaakhstan for the largest event on the 2015 European Challenge Tour, where the winner virtually assures himself of finishing in the Top 15 of the rankings.